I'm gearing up for a fun Valentine's Day, and today I have a fun project with just that theme in mind. Oh, and did I mention quick and easy too? So I mentioned this was a quick and easy project. All I did was alternate drawing hearts with the red and pink paint pens. Once the paint was dry (which only takes a few seconds), I added highlights with the black paint pen and the photo pen. 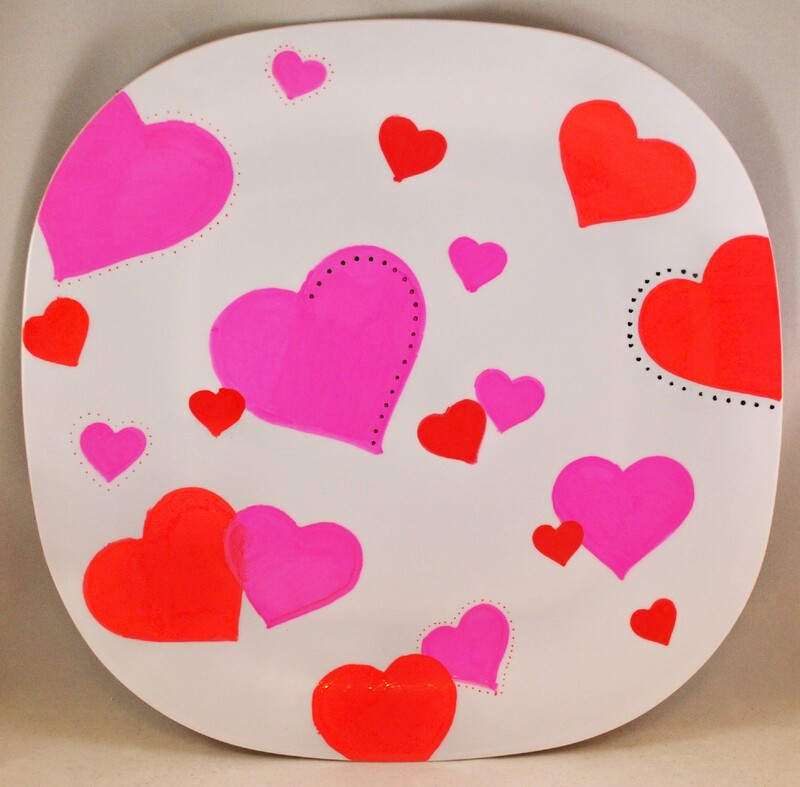 The end results yield an adorable plate for Valentine's Day. To protect the paint, I would recommend giving the plate a quick spray with an acrylic sealant. Also, neither the paint nor the acrylic sealant are food safe, so any food placed on the plate needs to be in a wrapper or placed on top of a napkin and not directly on the plate itself.